Impressive features bundled in one mobile product: Print at your convenience while on the go, using built-in Bluetooth wireless technology. Rely on a long-life, lithium ion battery—print up to 500 pages when the battery is fully charged. Do more—produce professional-quality documents on the go, using Original HP high-capacity ink cartridges. 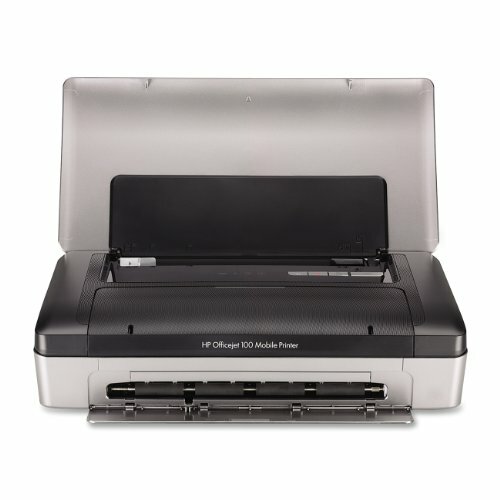 Professional-quality documents from mobile devices: Use Bluetooth technology to produce professional-quality documents from selected notebooks or netbooks. Print high-quality documents from selected smartphones and mobile phones, using Bluetooth technology. Print directly from Windows Mobile phones, Android and BlackBerry smartphones.